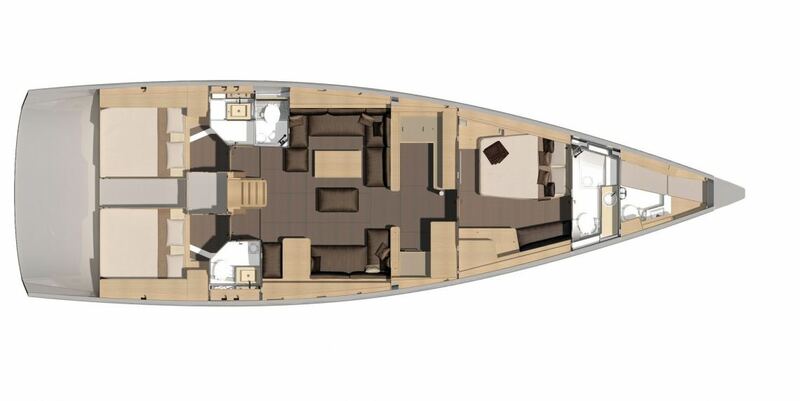 The Dufour 560 GL is a magnificent and tall sailing boat, known for its performance and comfort. From Athens, you will be able to sail to discover the wonders of the Greek islands of the Aegean Sea. 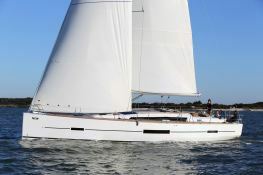 The Dufour 560 Dufour Yachts sailboat is able to accomodate up to 6 passengers with a skipper in a great comfort. 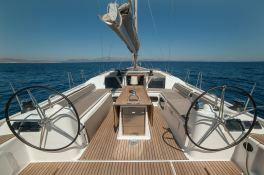 Navigating in the region of the Saronic Gulf, Cyclades or Peloponnese this sailboat is equipped with air conditioning, a large kitchen, water maker, generator, bow thruster, and a CD / MP3 player. 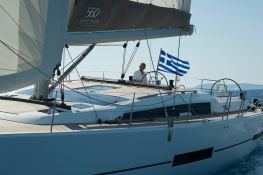 This Dufour 560 Grand Large is the perfect sailboat to charter in Greece. IShe is fast, comfortable and stable it will help remove the difficult conditions of navigation that sometimes occur during the summer in Cyclades with the Meltem. Navigation area covers both the Cyclades Islands, but also the Saronic Gulf and the Peloponnese coasts. On board a sailboat like this, you will be able to enjoy the relaxing luxury life on some of Greeces most finest white sand beaches and the turquoise waters. The skipper knows the Aegean Sea by heart, so you will discover all its wonders and more. 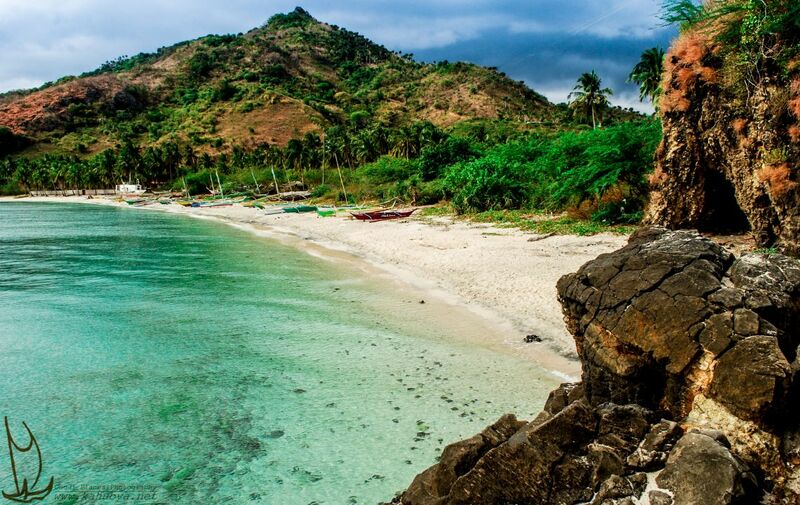 Note that it will be possible to hire the services of a hostess on board to add a little more class to your charter. This skippered sailing yacht is available for yacht charter with a base price of 9 500 € (approximatly 10 714 $).